Islamabad : Pakistan minister clarified his 'googly remark' as ‘misrepresented' soon after union minister Harsimrat Kaur Badal tweeted Pakistan Prime Minister seeking action against the man for his controversial remark over two Indian ministers visiting groundbreaking ceremony of the Kartarpur corridor. 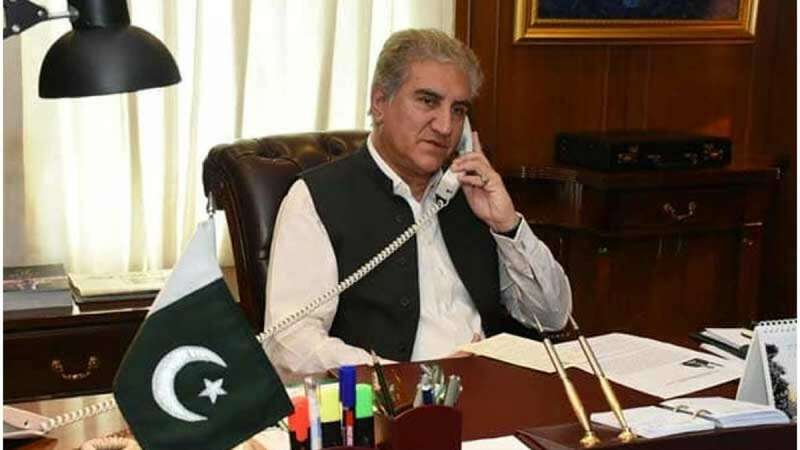 Pakistan Foreign Minister Shah Mahmood Qureshi also clarified that the remark was "strictly with reference to bilateral interaction with the Indian government" in a tweet. The minister had tried to come up with a twisted statement relating PM Imran Khan's earlier career and present one. He had controversially said that "Imran (Khan) delivered a googly and India sent two ministers to Pakistan". "The world watched, Pakistan watched, that PM Imran Khan bowled a googly at Kartarpur. As a result of the googly, India, that had refused to engage with Pakistan, had to send two ministers to Pakistan," he had bragged in a misplaced reference to Mr Khan's earlier career as a fast bowler in international cricket and cancelled talks between the two countries. Reacting sharply to it, Union Minister Harsimrat Kaur Badal said, "Nothing can be more disgusting than this." She accused the Pakistani minister of "hurting sentiments of Sikhs and peace efforts by equating attendance at function at Sri Kartarpur Sahib with trapping India by bowling a googly".
.@SMQureshiPTI As a devout Sikh I feel anyone having deep respect for Sikhism wud not politicise holy initiative of #KartarpurCorridor by calling it ‘googly’ or as a good ‘chaal’ as termed by u & ur prez. Sikhs are not pawns in chess. Pls, don't play with our faith. India, recently, declined Pakistan's invitation to attend the upcoming SAARC summit over terrorism concerns.